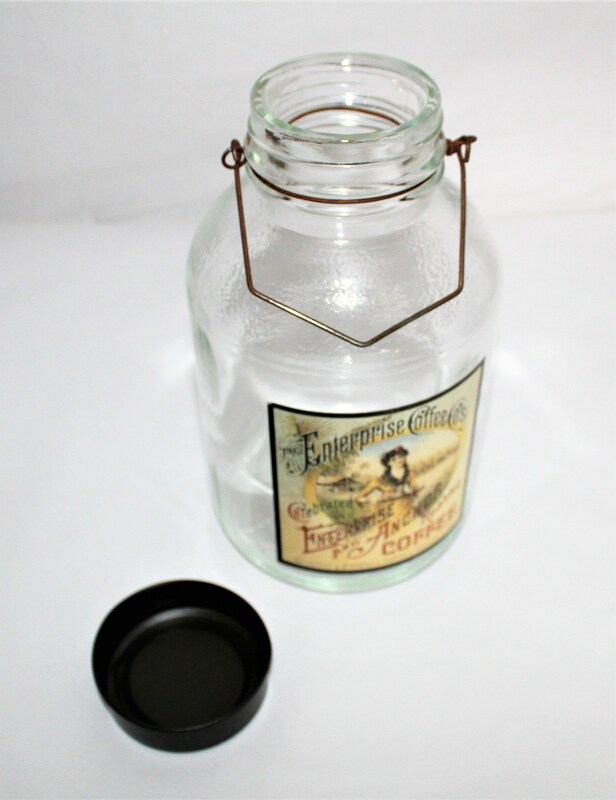 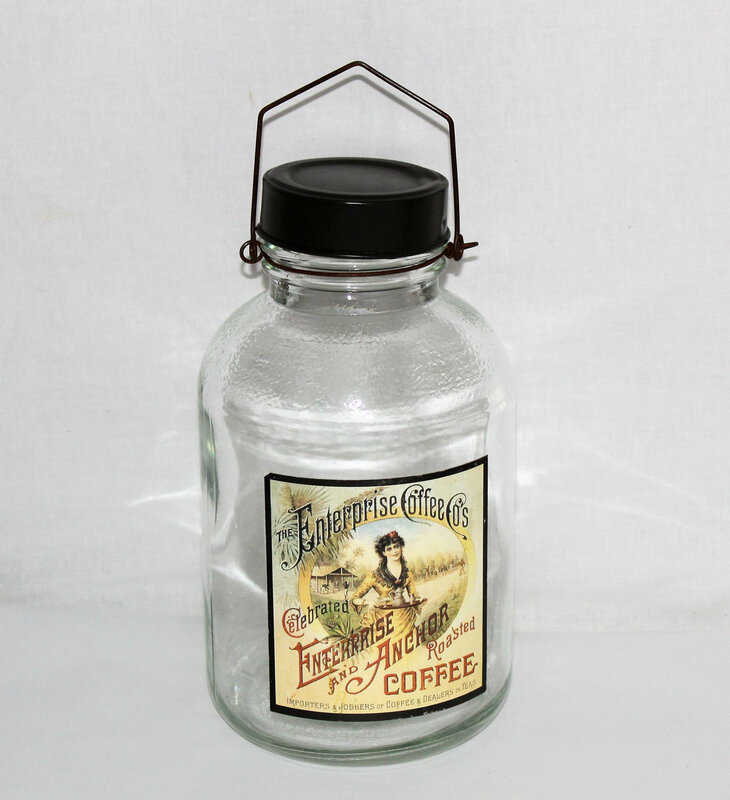 Wonderful remake of a 19th century style coffee canister. 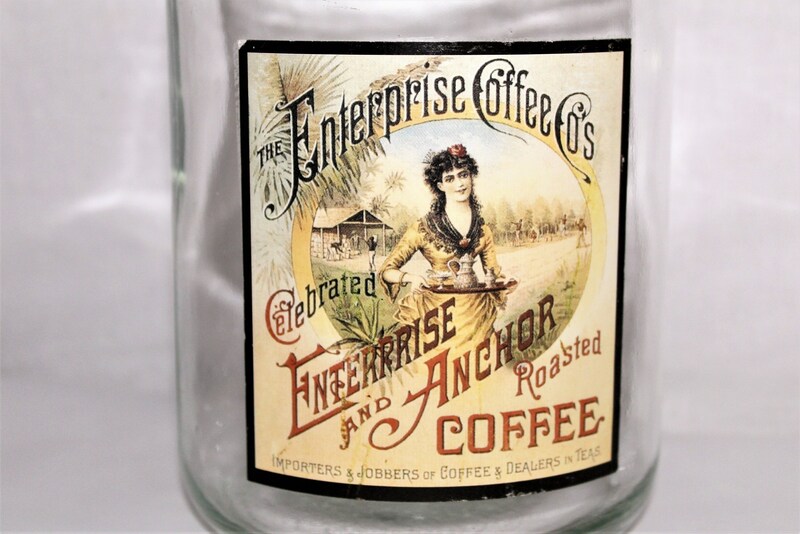 Label reads; The Enterprise Coffee Co. Celebrated Enterprise and Anchor Roasted Coffee. 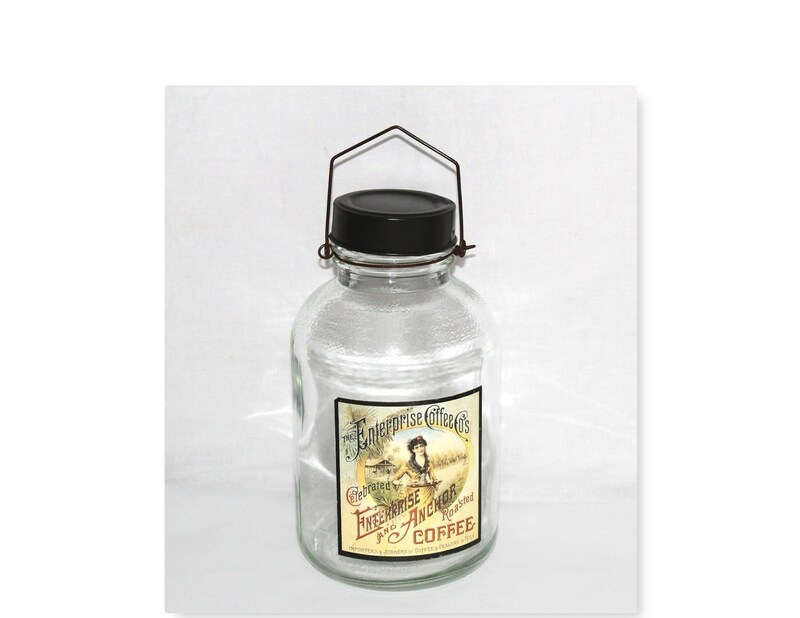 This will make a wonderful kitchen décor piece. 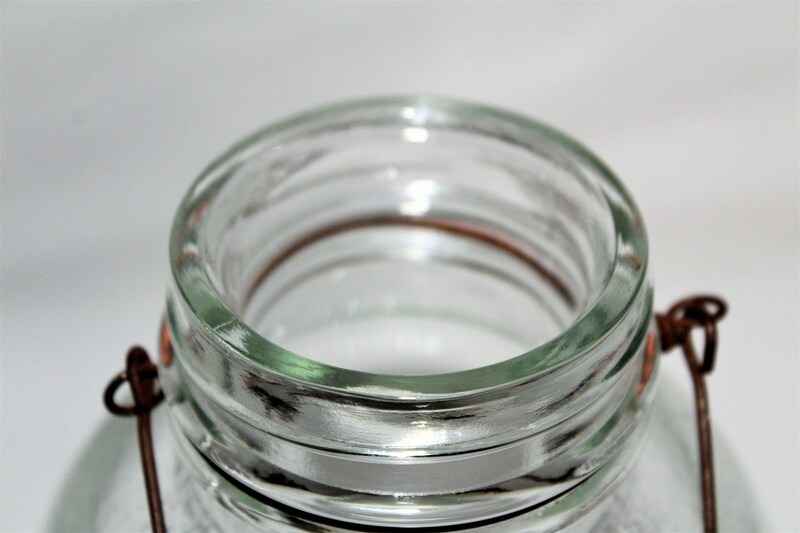 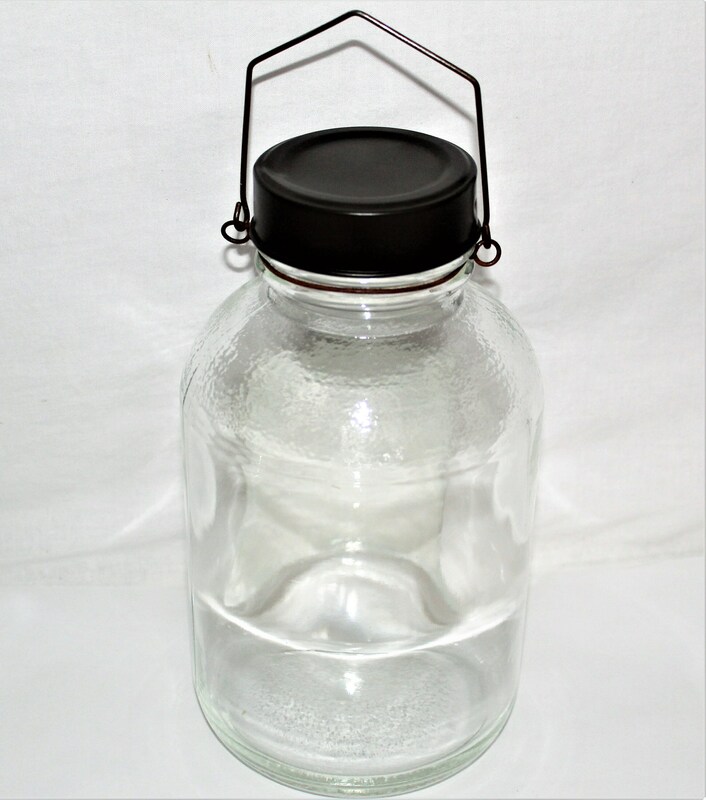 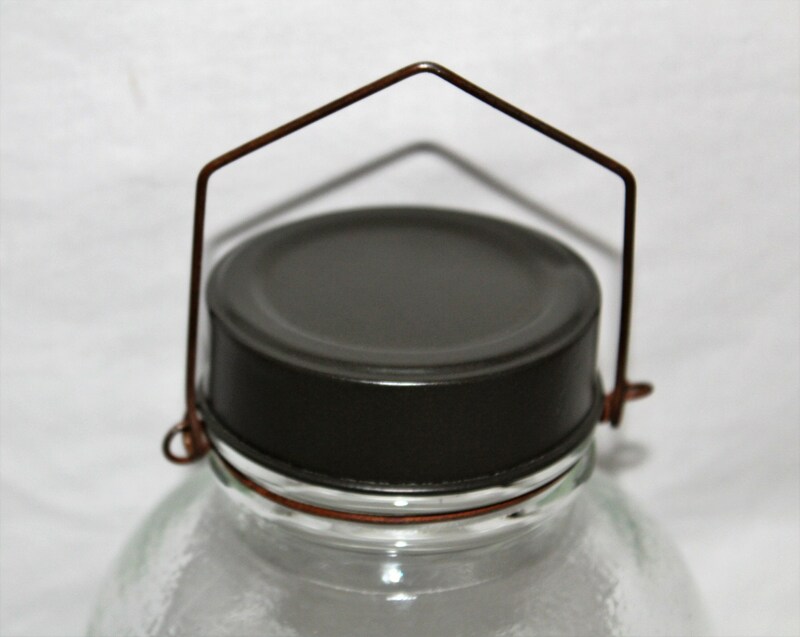 Condition: Very good no cracks or chips in the glass, metal bail and lid have spot rust.